The last printed paper issue of Nordic Road and Transport Research was number 2-2014. Issues 1-2006 to 2-2014 are listed below and are free to read and download. You can get hold of older articles, and to some extent older paper issues, by contacting the editor-in-chief at VTI, see contact information. This issue covers how kerbs can affect guardrail function, cooperative systems in cars and best practices for freight transport, and more. This issue covers topics like electric roads of the future, the visiblity of road-railway level crossing, and that Norway is the number one electric vehicle country. A new strategy to increase walking in Norway, noise from electric vehicles, the use of blue spot analysis, and residual road salt are some of the topics covered in this issue of the magazine. This issue covers topics like counter-flow cycling, prevention of trespassing on railways, the elderly in traffic, and conditions for successful implementation of electromobility. Plug-in hybrid vehicles are possibly the next step in the evolution of hybrid vehicles (HEVs). They are already available as prototype and demonstration vehicles, and now a few production models are entering the market. OFRET is a research and demonstration project, part-funded by the European Commission DG Research. The project will develop and test a methodology and a framework for the accurate calculation of the carbon footprint, considering all modes of transport in the supply chain. Reduced use of studded tyres in five Norwegian cities from 2002 to 2009 has not had a major impact on the number of road accidents. 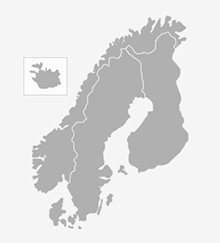 The five cities are Oslo, Drammen, Stavanger, Bergen and Trondheim. Changes in the use of studded tyres and changes in the number of accidents have been studied in these five cities for the period from January 1, 2002 until August 31, 2009. Safety effects of in-vehicle technologies. If designed ergonomically and used appropriately, In-vehicle technologies (IVT) have the potential to enhance traffic safety. User-centered design and evaluation of systems in real traffic is important, especially because users report interacting with the systems although they have challenges understanding how they work. Extreme rain events are expected to become more frequent in the future, and flood risk has gained renewed focus due to the climate changes in recent years. Flooding poses a great threat to roads. In severe cases it may lead to massive obstruction to traffic and damages to road structures. Consequently, identifying and improving road sections to prevent flooding are of great value. Every year, the road surface condition in Sweden is monitored. Tens of thousands of kilometres are surveyed to collect data that provides an up-to-date, detailed, complex, and almost completely objective picture of the condition and change in condition. This data is one of many parameters used when determining the need for road maintenance. Systematic evaluations of smart card ticketing systems for public transport are few and far between. A cost benefit analysis of a recently implemented smart card system in Trondheim reveals a net present value in excess of what traditional road projects normally deliver. Intelligent transport systems such as smart cards can deliver huge benefits to society and often at a fraction of the costs of other transport investments. A saying in Iceland tells “if you don´t like the weather, just wait a few moments”. Although dealing with harsh and rapidly changing weather is an everyday task for Icelandic road owners, the projected climate change in the 21st century demands a new way of thinking. VTI has developed simulation tools that can be used for the analysis and evaluation of changes in the road traffic system. The tools can be used to investigate what effects the use of ITS (Intelligent Transport Systems and Services) and other changes in the traffic system will have on traffic performance, safety and the environment. Plants play an important part in a road’s architectural expression, near noise barriers, in roundabouts and on motorways. It is important to plan which plants to put when constructing new roads and this should be an integral part of the general planning of a road construction. The idea came to a group of people in a meeting in the summer of 2007. The idea of gathering together all that remotely have something to do with a topic in order to pick their minds. To get all these people together to be able to connect their knowledge, know-how and ideas to tackle a particular task. The first topic became road safety and the road environment, i.e. road surroundings and how to make roads safer, in this case by making the roadside safer. At the end of January 2008 an official delegation led by the Norwegian Crown Prince Haakon Magnus visited Chile. The Crown Prince was accompanied by a large delegation of more than 100 managers and professionals from the energy, fish, trading and transportation sector in Norway. From Norwegian Public Roads Administration (NPRA) seven participants took part in the visit to continue the work drafted in the updated agreement in the area of transportation for the 2006–2010 period. The use of Intelligent Transport Systems (ITS) is on the increase throughout the world. What these systems have in common is that they are introduced to generate benefits to the users and to society. These benefits must, however, by definition outweigh the total costs of implementing and operating the systems to provide a net benefit to society. The vulnerability of road pavements and transport systems to climate change impacts depends on their impact response. Abnormal weather events like floods and storms have occurred in recent years, causing disturbance and damage. Important tasks for consideration are as follows: contingency planning, revision of design criteria, improvement of pavements and structures to ensure the service level and adaptation of maintenance operations. Every year, VTI arranges the largest conference for the transport sector in the Nordic countries – Transportforum. For many people, this is a symbol of the start of a new business year, and there are many delegates who attend year after year. The conference was held in Linköping on 10–11 January, and attracted more than 1600 delegates. One of these delegates was the new Swedish Minister of Infrastructure, Åsa Torstensson, who visited the conference for the first time. Swedish Road and Transport Research Institute, VTI, has participated, as one of nine partners, in the EU project IERD (Integration of the Measurement of Energy Usage into Road Design). This project has recently been awarded the Bentley BE Award of Excellence in the category “Civil New Technology Adoption”. Good road lighting not only reduces fear of violence and criminality but also cuts the number of accidents to pedestrians and cyclists. Road lighting helps pedestrians detect hazards, identify local landmarks and recognise other pedestrians, and makes them feel safer. As previously mentioned in Nordic Road & Transport Research, the Danish Road Directorate is expanding in 2007, due to the fact that the Danish government decided in 2002 to merge the existing 13 counties and 172 municipalities into some 100 bigger municipalities. 8,000 km of regional roads will become municipal roads, and 2,000 km will be transferred to the Danish Road Directorate. Older issues are available at Nordic Road and Transport Research’s page on Issuu. You can get hold of older articles, and to some extent older paper issues, by contacting the editor-in-chief at VTI, see contact information.